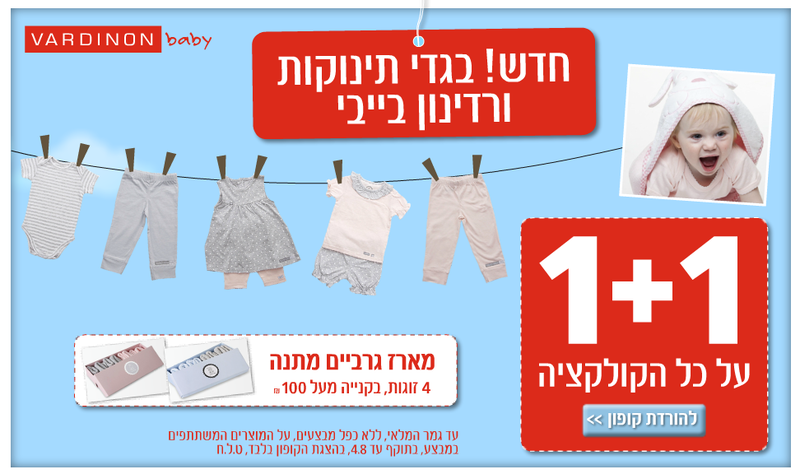 Here's a coupon for baby clothes at Vardinon Baby, good thru Aug 4th. 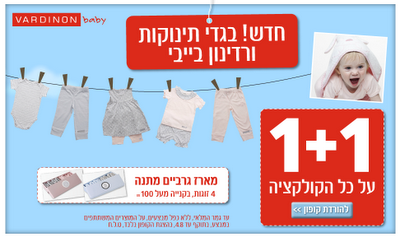 It's good for Buy 1, get one Free, and free socks with a 100 NIS purchase. Make sure to print it from the link above!